Manaweblife ventured off the usual track into the kampung roads of Kampung Sungai Merab in Kajang to unveil a one-of-kind nasi lemak. 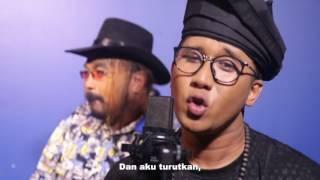 Take a look at this video and you will discover what all the viral buzz about Bunian Nasi Lemak is all about. Firstly, the nasi lemak is wrapped in a spicy omelette and served with a simple mix of cucumber, salted fish and sambal. The wrap creates a unique taste to the rice and with a spicy tinge. This unique place is a big surprise too. There are no other shops around and this shop or 'warung' is down a slope hidden away by grass fields and bushes. Officially the place is called Restoran Tapak Sulaiman and it opens from 7am till 2 pm. Besides, the famous Bunian Nasi Lemak you have a choice of the other house specialities such as 'gulai ketam'(small crab sauteed with various sauces) and roti jiwa kacau ( roti with spicy omelette ) and roti sardine. Take a drive to this hidden nasi lemak spot and be the judge of this most unusual nasi lemak around. 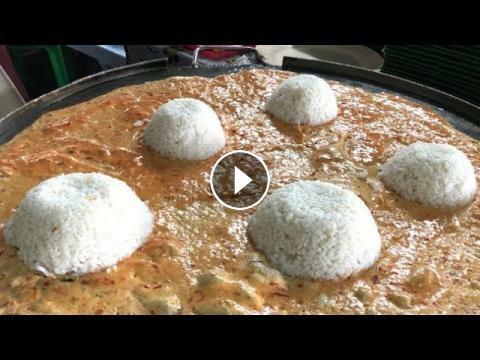 Like, share and catch the other nasi lemak discover videos on this lifestyle channel by being a subscriber and get all the latest video uploads right away.